NetEnt has created yet another lucky Mega Fortune winner this month. The leading developer of online casino games and software has carried on with its exceptional start to 2018 after the lucky player walked away with a staggering 4,084,430 Euros while playing the online slot, Mega Fortune Dreams. The incredible windfall was won by none other than a player based in Sweden who was enjoying the progressive jackpot game at the online casino, Unibet. Mega Fortune Dreams is a popular slot with many players around the world. The game offers 5 reels, 3 rows and 20 lines complete with an exciting triple progressive jackpot bonus. When you hit the bonus, you get even more chances to win some massive amounts of moolah. The latest winner is already the second to hit a NetEnt multi-million euro jackpot this year after another lucky casino player won 2.5 million Euros in Mega Fortunate back in January. The latest jackpot was scooped up on 7 March by the lucky player in Sweden. NetEnt’s Chief Product Officer, Henrik Fagerlund, reportedly said that at NetEnt, it’s all about thrilling entertainment for the players. The software developers are delighted that the online slot has created yet another multi-millionaire. 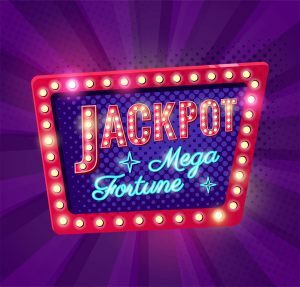 Mega Fortune Dreams is a big hit with players and NetEnt hopes that this year will continue to be a great one when it comes to life-changing wins. It’s no surprise that the latest winner is Sweden-based. The country has produced some lucky winners over the years. Especially when it comes to online slots. In February 2012, one lucky lady instantly became the biggest online casino jackpot winner in the country when she won a whopping 7.6 million Euros playing Hall of Gods. With her life-changing win, the lady went on to clear her student loans and buy a new car and home. To date, this is the biggest amount ever won at the Unibet casino. What’s more, in late November 2015, a 30-year-old player who only went by the name Alexander won a delightful 8,577,204 Euros playing NetEnt’s Mega Moolah. This player is also Swedish. As for Mega Fortune’s latest Swedish winner, Ann, life couldn’t be better right now. While she admits that Mega Fortune isn’t her favourite NetEnt slot of all time, she did hit that major jackpot just seven minutes after she began playing. Ann reportedly hasn’t yet got any plans on how to spend her winnings but would reportedly like to take a nice trip in the spring. Meanwhile, Mega Fortune remains a popular online slot, making millionaires regularly. The largest jackpot ever won on this slot – and the largest win in online casino history to date – is as big as 17,861,800 Euros. Whether you are using free spins for signing up at an online casino, or you make a real money deposit to play with, make sure you try your luck with the slots. You never know, it could be your turn to win next!